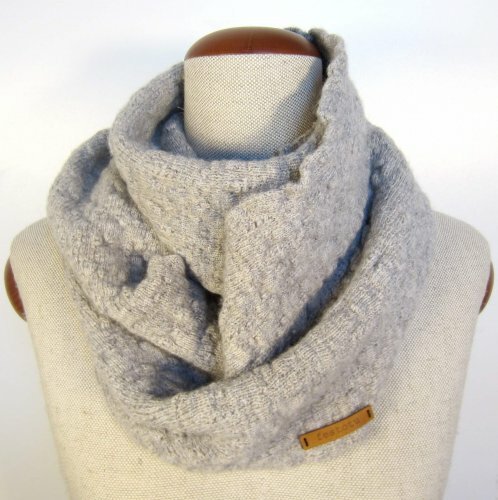 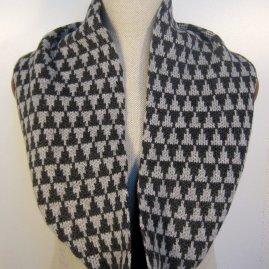 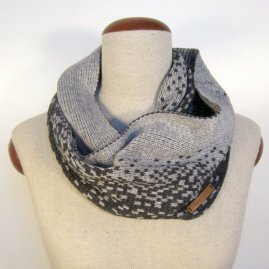 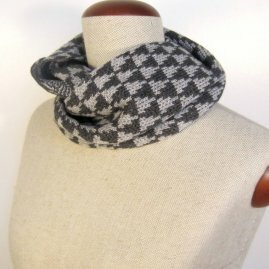 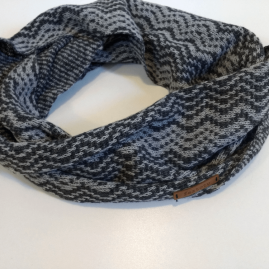 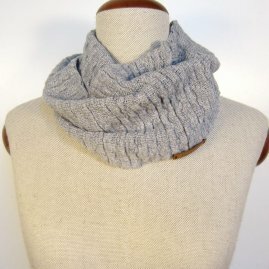 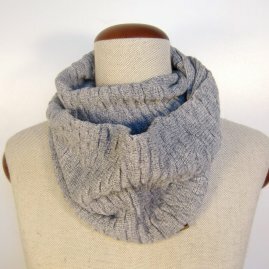 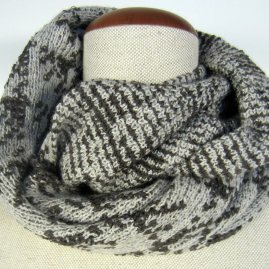 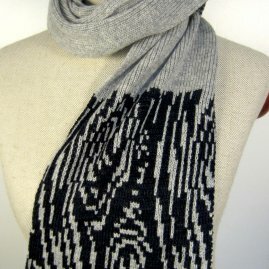 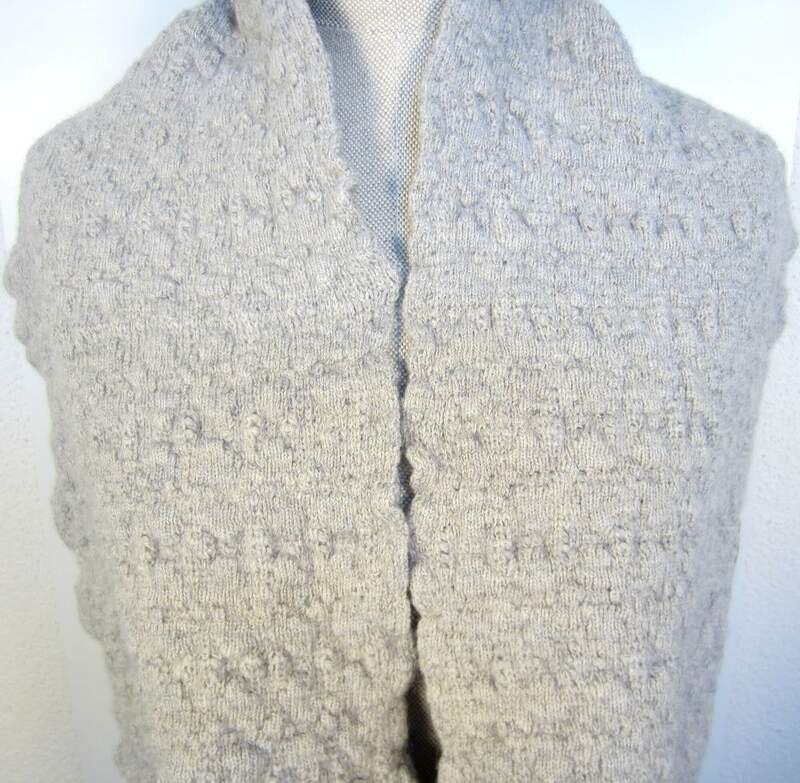 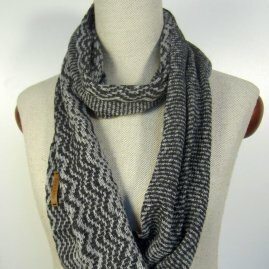 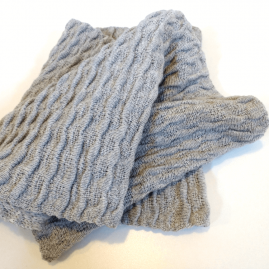 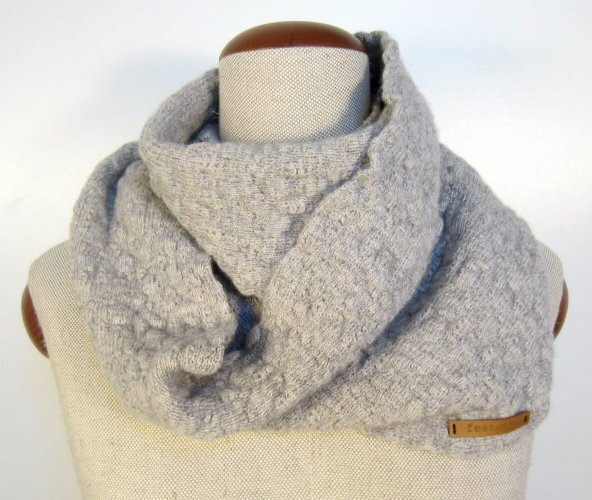 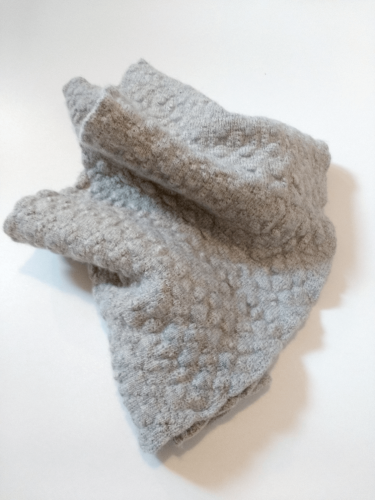 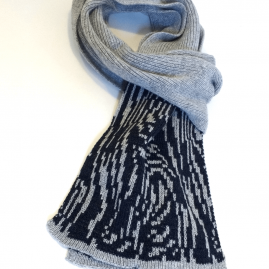 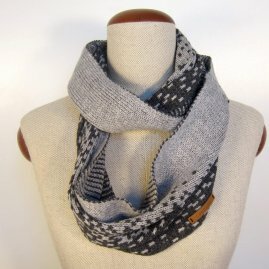 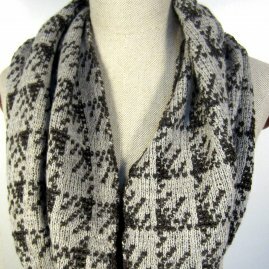 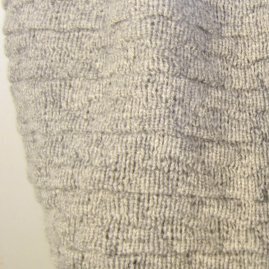 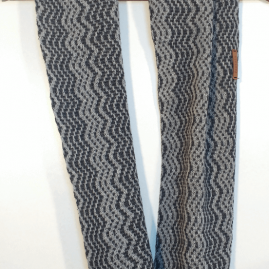 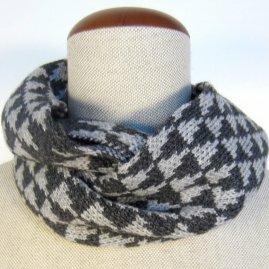 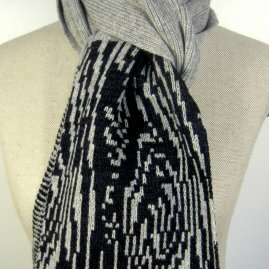 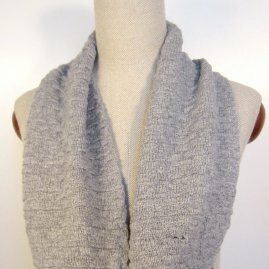 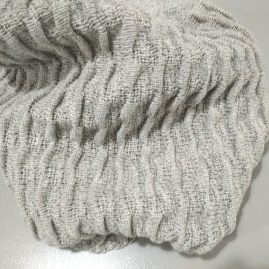 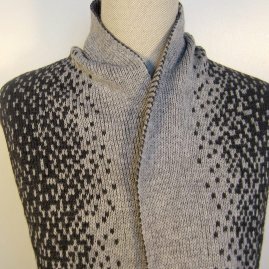 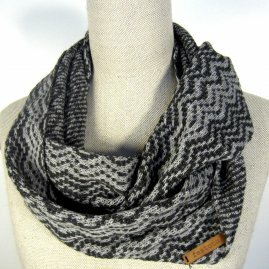 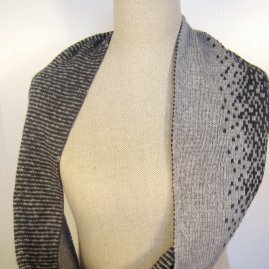 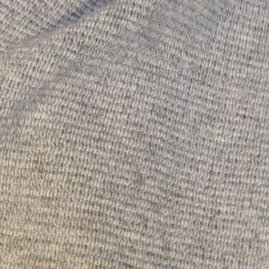 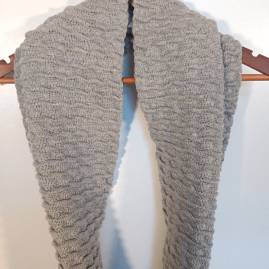 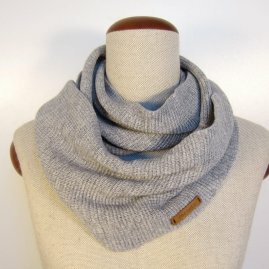 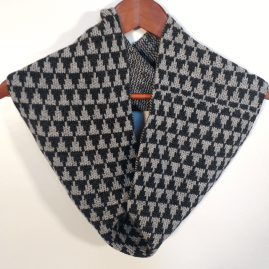 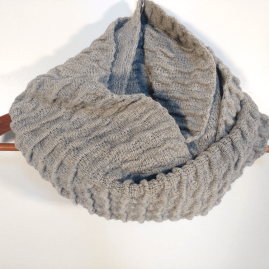 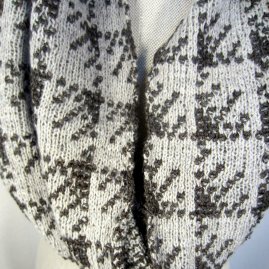 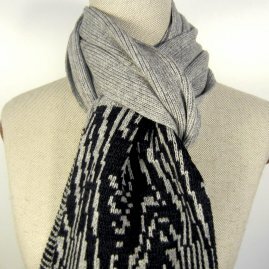 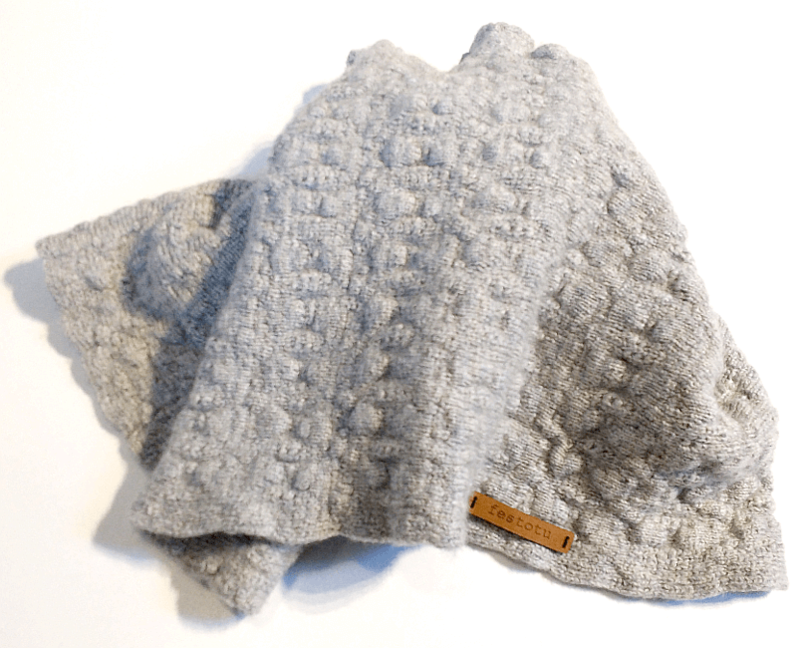 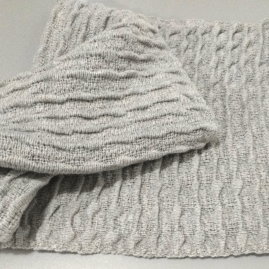 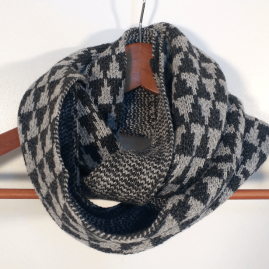 Light grey variegated infinity scarf. 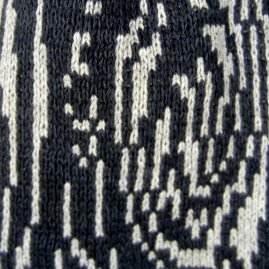 Features small bubbles. 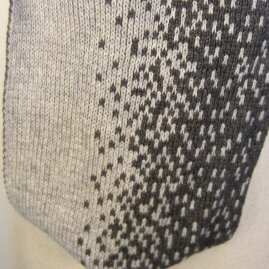 Size: 66 x 9 inch (165 x 23 cm).